Welcome to the historic Coral Tree Tea House! 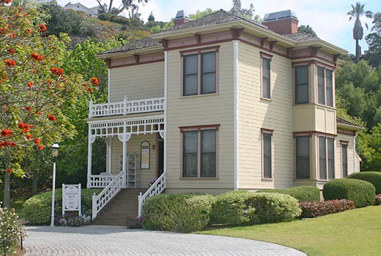 You’re invited to visit the Coral Tree Tea House located in Old Town’s historic Heritage County Park! No where else can you relax in a Victorian home in a beautifully landscaped public park dedicated to the preservation of seven homes that were saved for their historical significance to the city of San Diego. Relax in one of our dining rooms where every seat offers a beautiful view of the park and indulge in a generous array of delicious savories, tea sandwiches, freshly baked scones and decadent desserts! See you again May 9th! Join us for a light lunch on Thursdays and Fridays! Plan early for your Easter Tea and Mother’s Day reservation!